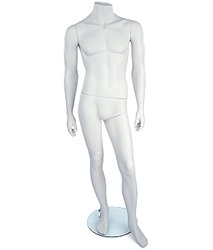 This flesh tone headless male mannequin standing with confidence. He is sure to bring attention to any display and wear your clothes with style. Made of fiberglass. Base included.